DOOM’s new installment after a huge 12 year hiatus is certainly one of the most anticipated games for shooter fans. Due for release on May for PC, PlayStation 4 and Xbox One, it features the brand new id Tech 6 engine which sports dynamic lighting and a PBR pipeline. 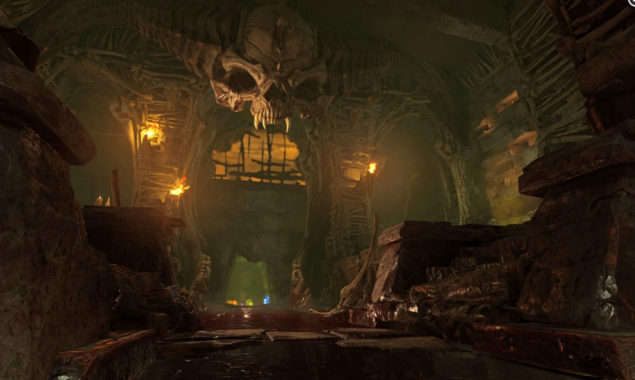 id Software plans to deliver the best looking game at 1080P60, and apparently that will be achieved through Asynchronous Compute, too. Lead Renderer Programmer Tiago Sousa, who previously worked at Crytek, confirmed as much on Twitter. While on topic of IHVs poking. We are seeing big gains with async compute – just saying. Given the hardships that current NVIDIA hardware seems subjected to with Async Compute, I asked him where that leaves NVIDIA users – and he replied that “everyone is getting some love”. Hopefully that means at launch there will be proper optimization in place for both AMD and NVIDIA hardware. As you can see here, the benchmarks from the Alpha build clearly favored AMD cards. Of course, if you want to play at maximum settings and higher resolutions it’s going to take a stronger hardware than the recommended one.